Bridging Cultures Archives • Ravi Unites, Inc. 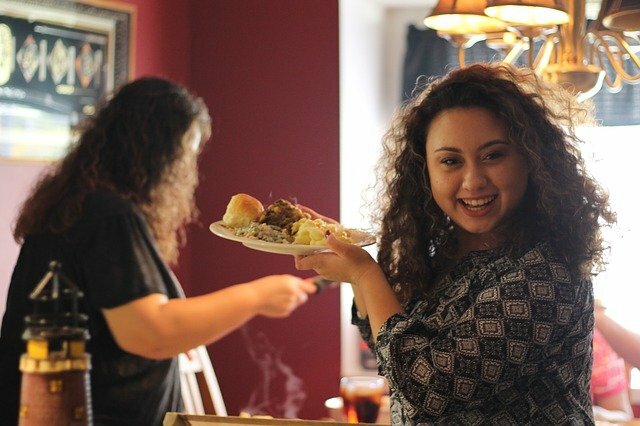 Many agree that the bonding power of “breaking bread” is tremendously rich, enabling us to overcome great challenges, and even infusing cultural competence in younger generations. I am convinced that preparing the meal collectively deepens the bond even further. The culinary arts is perhaps the only art that stimulates all five senses simultaneously. My theory is that this multi-sensory experience creates a uniquely strong connection. Therefore, preparing and sharing the daily family dinner is a vital opportunity to reinforce family values and counterbalance other influences that may be less desirable. I believe we should consider the possibilities of “food diplomacy” and raise awareness of its potential for positive impact. Dining together is a multi-sensory, tangible experience that can uncover commonalities where previously only differing experiences and viewpoints might have existed. The potential for conversation and trust building is inherent in sharing smells, tastes, colors and textures of the ingredients along with various methods of preparation. The total experience can be a catalyst for diplomacy, increasing greater understanding and the sharing of a common experience. Furthermore, the tradition of raising a glass to a common desire (i.e. “to our health”) unites those around the table. Today’s finest French cuisine is often created using the animal parts traditionally eaten by peasants. And why is it that countries in the hottest climates such as India and China eat the spiciest foods? Do we recognize that spices are used to preserve foods in places where refrigeration was (or is) not readily available, and what else does that teach us about these places? When you eat international foods, and even more so if you cook them yourself at home, you are personally investing in different cultures. Several organizations have initiated programs that focus on this. Cooking Matters asks participants to prepare dishes from as many cultures as possible and challenges them to draw relationships between those foods and the respective cultures.They say that foods are “the summation and expression of experiences, beliefs, and practices.” So when you cook foods from other cultures, you get a first-hand taste of the experiences, beliefs, and practices of that culture; you learn about others without assumption or judgment. Scholastic, as another example, encourages teachers to prepare meals from different cultures as a way of getting even young children to appreciate other cultures. The people’s identity: When we eat certain foods, we identify with a very specific norm within our own community. Cooking or consuming foods of others will help us learn and appreciate their identities. A community’s pleasures: Students learn which festivals or occasions are associated with which foods. A community’s values: Breaking bread with other communities helps future leaders learn about the values that tie those communities together. Heritage: Taking an interest in other communities’ foods is one of the best ways to trace their history and heritage. My Ravi Unites Schools program that unites students from different cultures online is directly aligned with creating community-building culinary initiatives. In fact, a discussion of food is naturally part of every interaction. I encourage educators and especially families to incorporate diverse foods and culinary exploration into regular activities. By simultaneously stimulating sight, hearing, touch, smell, and taste, a unique and rich experience is created that can break down walls and form lasting connections. What are your thoughts on this? Please let me know by sending me a message. Can time spent playing online games help teens develop cultural competency? What do you think? A few months ago, I introduced two groups of eighth grade students on a Ravi Unites Schools video conference call. They waved at each other through their laptops and began to chat, and noted the obvious: they live 12 hours apart. Like most students who participate in this new initiative, their lives take place in opposite realities. One lives in Mumbai, India, which is home to 22 million people, while the other lives in a small town in the United States. As one group heads into nighttime, the other begins the day. On this call, they searched for commonalities across many miles and their different cultures. Sports? One group played cricket, while the other played American football. Favorite foods? Hamburgers and hot dogs in the U.S.; samosas and curry in Mumbai. And the weather? It was hot and humid in India, while the U.S. students in were shoveling out of a late spring snow (again!). They did share the stress and satisfaction of doing well in school. But this wasn’t what they wanted to talk about. After only a few minutes, they made their discovery: each was mildly obsessed with the latest global teen phenomenon: multiplayer online gaming. Before the end of this real-time audio-video interaction, the two schools agreed to find a day and time to team up and play. What are your thoughts about the value of online gaming for teens across the world? Click here to take my fun and quick survey: Digital Priorities and the Future of Multiplayer Online Gaming. I will share results in a future blog post. 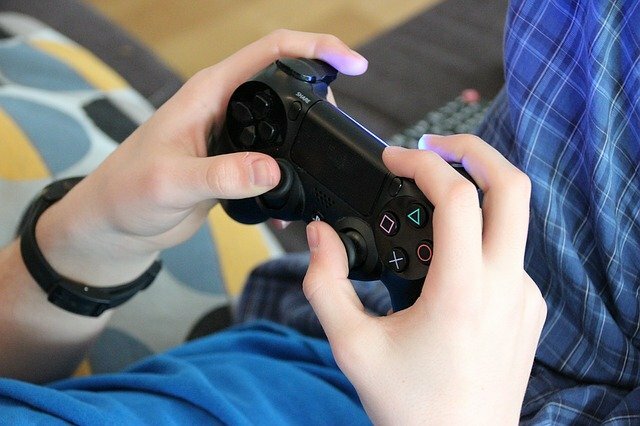 While some fear that too much time online can create unhealthy habits, from my view multiplayer online gaming appears to be a unique way to cultivate cultural competence. 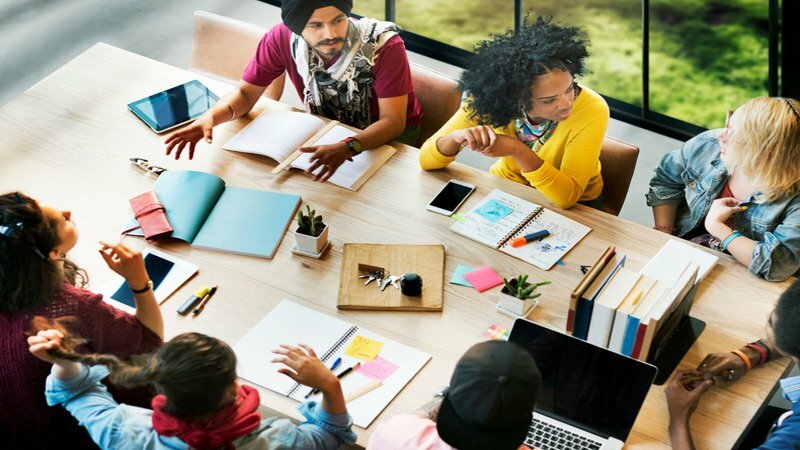 It develops a ‘macro-mindedness’ as youth connect and team up with peers they would otherwise never meet. The opportunity for leaders is to harness the potential of this reality to see that deeper learning takes place. To live and thrive in this world, today’s children must learn the intricacies of a connected globe. To help education leaders encourage peer-to-peer dialogue and increase cultural competency in youth, we are setting up more real-time audio-video interactions for the 2018-19 school year. There is no cost for participation. We will gladly help you connect with a school around the globe that offers cultural diversity, and we will take the lead on organizing an interaction between your students and theirs. Just convey your interest by contacting Ravi Unites Schools directly at Sandy@RaviUnitesSchools.com. Can Time Spent Playing Online Games Help Teens Develop Cultural Competency? Gaming companies and learning experts often disagree on the effects of online gaming among teens. Despite the fact that we have watched our children play online games for decades, and that a whole generation of gamers has grown up without civilization collapsing, there is still an intense fear among many that online gaming is "dangerous" and has no positive long-term value. Every few weeks we come across stories from psychologists and others detailing how battling opponents in games like “World of WarCraft” can make children have violent tendencies. We have also heard stories about online video games making kids hyper and anti-social. Within this backdrop, it is fairly safe to conclude that the fact that researchers today have begun looking into ways to introduce video games to accelerate classroom learning might be unnerving to many. And yet still others are able to extoll gaming’s virtues, including the authors of a 2014 American Psychological Association article, “The Benefits of Playing Video Games” which surveyed the landscape of video games. In it they identify four types of positive impact that video games have on the kids who play them: cognitive, motivational, emotional, and social. Why would gaming be approved in schools in the first place, and can online gaming really help teens develop cultural competency? I will dive into this a bit deeper below. The reason is simple – video gaming online appears to be one of the unique ways to cultivate cultural competence. Our world is a connected world. Through television, travel, and the Internet we have opportunity to intersect with others around the globe in various capacities. Gaming online is another means of opportunity for youth to connect and team with people all over the world. The opportunity for leaders is to harness the potential of this reality to see that deeper learning takes place. Anthony makes it clear that if the current generation is serious about bringing the world together, which I also advocate for strongly, then they must arm the current youth with knowledge and skills in global competence. But, What Exactly is Global Competence? A globally competent individual combines knowledge about the world with critical reasoning whenever they form opinions about a global problem. Being globally competent brings with it a willingness to look at global problems from different perspectives. When you are globally competent, you can engage in respectful dialogue without undermining marginalized groups. Globally competent individuals are ready and willing to respond to local, global, or intercultural issues for the common good. Games can help kids appreciate cultural diversity and become global thinkers. Game play online often requires teaming and that can be with anyone, anywhere around the world. Unique partnerships can develop, which while simple and focused on game play, actually do lay a foundation for global cooperation. Online gaming can be one method, among many, that can assist and provide young people with simple skills in cultural competence. When reflected on and combined with other methods, such as my Ravi Unites Schools initiative, the overall effect and impact can be significant. What is needed is the intention to provide stakeholders with the necessary insight to make video gaming a tool that we can confidently use to teach cultural competence as we seek to prepare the future generation for a peaceful and economically productive coexistence. I aim to provide some of that intentional insight into how to utilize what currently engages youth via my keynotes and to help educators turn experiences like these into deeper learnings about cultural competence. Does this topic pique your interest? Consider booking Ravi for a keynote at your next education leadership meeting or conference. Get the conversation started by reaching out to Ravi at raviunites.com/contact. Poland Middle School students Skype with students in India as part of their "Capture Kindness" month programs Lauren Barrett - asks a question... of her Indian counterparts. 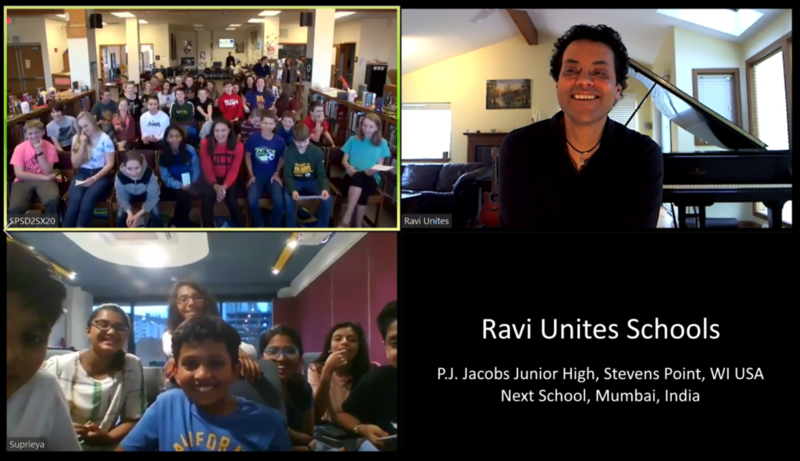 The Ravi Unites Schools initiative kicked off with a spirited real-time audio-video interaction last week. I am so proud to have facilitated another cross-cultural experience for a new group of students. 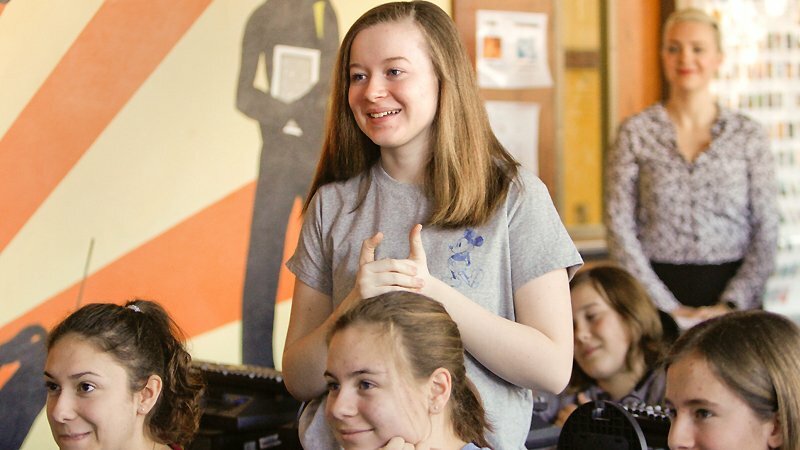 Nearly 50 eighth and ninth graders from two schools—Poland Middle School in Poland, Ohio USA, and Shanti Bhavan Children’s Project in Tamil Nadu, India—discussed what matters to them. For this group, this included their favorite foods and music, to the issues caused by the class and caste systems, to combatting world hunger. I greatly appreciate the enthusiasm and preparation of the students and teachers at each school—they are what makes Ravi Unites Schools a success! Exchanges like these enable kids to bond naturally, even across miles and time zones. They truly benefit from this cross-cultural peer-to-peer discovery. As we head further into a future that includes globalization, cultural competency is rapidly becoming a required skill. And as access to technology increases in schools, there is no reason why interactions like this cannot happen regularly in classrooms all around the world. The online meeting began with a short introduction by me. Followed by the first peer-to-peer question, which was posed by a US student: “What is your weather like?” Such a seemingly benign topic quickly revealed several things: degrees in Fahrenheit were converted to Celsius to establish an understanding. Next, it was discovered that what might feel like a warm day in Poland, Ohio could feel frigid in Tamil Nadu, because in general, it is so much warmer there. And while the students in Ohio expressed that they were sick and tired of snow, their peers in Tamil Nadu expressed that they had never seen it in person. Food-related questions were also revealing. Students shared that, in India, eating beef is against their religion, while many Americans eat it several times per week. On the popular subject of sports, students bonded over basketball and volleyball and explained American-style football and Indian-style cricket to each other. Then came a big question from the US students: “What one thing would you change in the world?” This sparked discussion about social injustices, including the issues that arise from classism and from India’s caste system. The relatively elite students in Ohio were stunned to learn that they were engaging with peers who are from some of the poorest families in the world. Enough commonalities had already been established between these students for them to recognize that classism has no place in the modern world. This discussion also explored ways that we can combat world hunger by addressing it in our own communities. The conversation then lightly gravitated back to musical tastes: both groups shared similar preferences for Katy Perry, Justin Bieber, Ed Sheeran and others. All too soon, it was time to say goodbye. It was obvious that minds had been opened and bonds formed. As for me, I could not be happier with the outcome, which brought me back to the very first online interaction for students I created nearly 8 years ago. Then as now, in less than one hour, students felt a greater affinity with their peers of other cultures and faiths. People are still people, wherever they live; we simply want to get along and learn from each other. There is nothing stopping us from carrying the ball closer to world peace. If you are a school seeking to participate in a similar interaction between your students and those of another area, please reach out by joining the Ravi Unites Schools Facebook group and posting your interest there. I am committed to helping you facilitate this experience for your students. 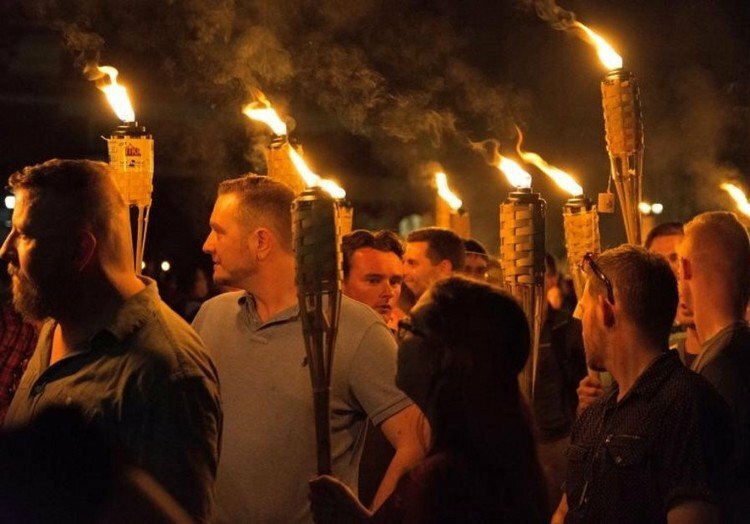 It happened again on Saturday night: white supremacists marched with torches in my hometown of Charlottesville VA. The rhetoric from the “terrorists” was louder, more emboldened, and with greater determination to remind the largely liberal Charlottesville community that they are not going away. This time, however, no one counter-protested so it barely made the news. When this first happened on August 12th, I was traveling in the notoriously turbulent Middle East and that day, on the Syrian/Lebanon border in the thick of Hezbollah territory (see previous blog post). Ironically, it was very peaceful until my phone lit up with reports of “domestic terrorism” on my own doorstep. Extremists of all types, whether motivated by race or religion, live among us 24/7. As egregious as their beliefs may be, they represent part of the human condition that exists within each of us — implicit bias. We convince ourselves that such biases must be changed, and they probably can be through appropriate education and the natural evolution of the idealistic millennials and Gen Z. However, in order to facilitate the process, we must invoke civility now. In August, citizens of Charlottesville threw gasoline on a spark and a fire ignited. People were injured, one person killed, and the city unraveled. Now that spark has returned, begging for fuel. Newton’s third law says that for every action there is an equal and opposite reaction. So, how extreme are we willing to go? Civil war? On the other hand, what if there were no reaction? Would the spark ignite or ultimately fizzle out? In the quest for world peace, the primary requirement is for differing beliefs to not stoke the fire, but live together in harmony. As humans, and even more so as Americans, we all have more in common to build upon than we have differences to pull us apart. Education, an entitlement or a gift? 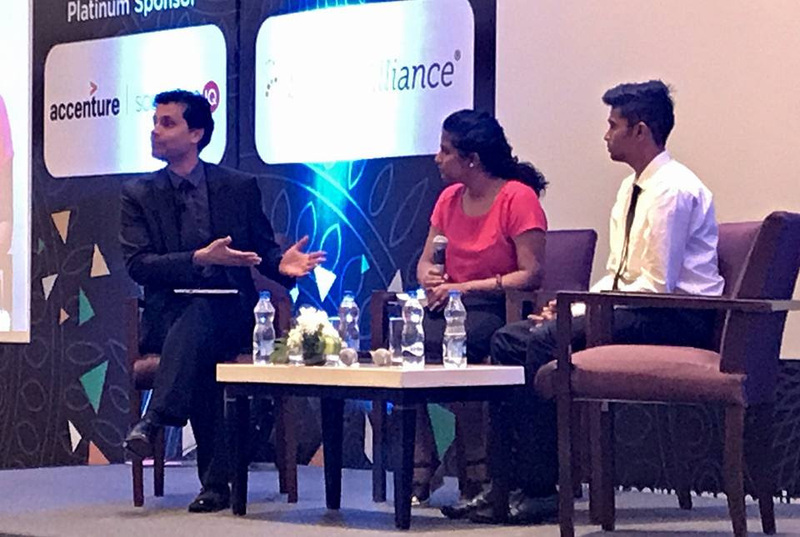 I had the honor of keynoting Accenture’s Scrum Gathering this month in Bangalore, India. Scrum/Agile is a project management system derived from a software framework that has evolved into a business culture. This subject fell outside of my comfort zone, which is my favorite place to be; only then do I know that I am learning and growing. 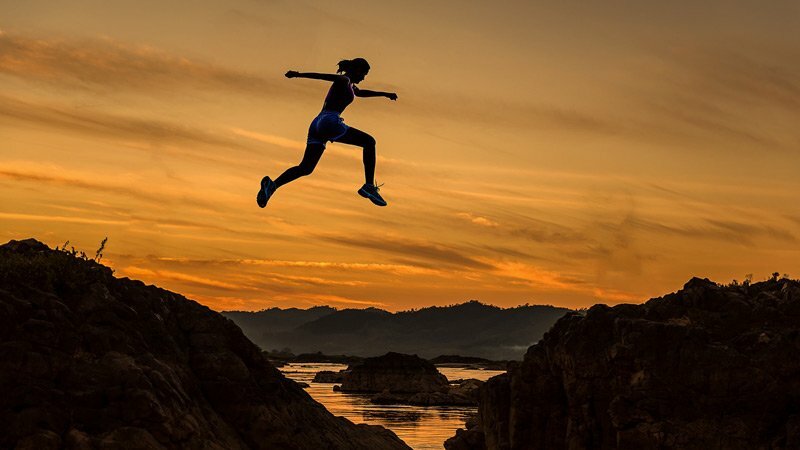 Using the concept of "agility," I discussed what it means to be an agile human being and how IT experts can use their skills to solve society's greatest injustices and bring us closer to world peace. It was a risk, but one that resulted in a standing ovation. While the response to my morning keynote was gratifying, the conference highlight was the afternoon closing session. I invited two graduates of Shanti Bhavan Children's Project—a residential school for the poorest of the poor and the subject of Netflix's new documentary “Daughters of Destiny”—to join me for an on-stage discussion about emerging from abject poverty and gaining career opportunities typically granted to the upper-class. The school's founder and my friend, Dr. Abraham George, joined us for a few closing remarks. Their stories prove that any child can succeed if given the right opportunity, and Shanti Bhavan yields hundreds of these stories. Each year, 12 girls and 12 boys are taken out of the villages before the age four and their education is paid for until they graduate college and begin work. Then, 20-50% of their salaries go toward rebuilding homes in their villages, providing healthcare for their families, and other contributions to their communities. Since the school began in 1997, 97% have graduated from high school, 98% from college, and 97% have gained employment at multi-national companies such as American Express, Goldman Sachs, and Deloitte. Unlike most disadvantaged children, these students are not taught to survive; they are taught to thrive. I visited the school for several days after the conference, reuniting with students and teachers after seven years when I first became a partner. The young children have grown into impressive young adults, and there were over a hundred new smiling faces eager to interact with me. With several graduating classes having gone on to college and prosperous careers, Abraham asked me if I thought that a sense of entitlement may be setting in with the older students. I felt that it might be, so each evening I gathered all the high school students for a vibrant group dialogue. My overall message to them was simple: "Shanti Bhavan is bigger than all of us. It isn't about students, teachers, or a beautiful campus, and it hasn't provided you with a free education just so you can get a great job and buy a nice car and big screen TV. This is a movement, and you have a responsibility and opportunity to further its mission of eradicating poverty and improving the world." I asked them what they would do if the school shut its doors tomorrow, and explained that if any one of them were to revert back to village life, then Shanti Bhavan will have failed them and they will have failed Shanti Bhavan. They then debated how to further the "movement" and explored implementing the model into other existing schools, fundraising to start a new Shanti Bhavan, and more. While their lifelong commitment need not focus entirely on sustaining the school, we discussed that they must always be working toward eliminating social injustices or solving environmental issues, which could even be as simple as buying solar panels for their homes rather than fancy cars. 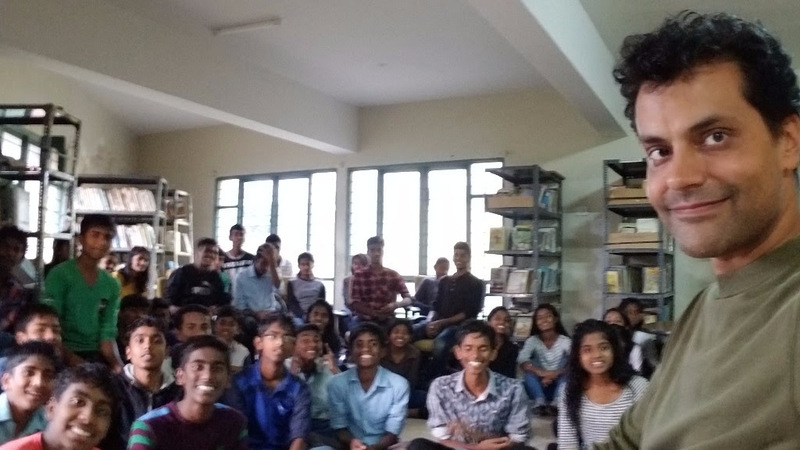 Collectively, they felt most passionate about eradicating corruption and the caste system, so we also talked about how as individuals we must "be the change you wish to see in the world" (Gandhi). This was an exercise that they will never forget, and they were genuinely appreciative (see video). I believe that everyone is entitled to a good education, but in reality, whether one receives it as a beneficiary of philanthropists or of taxpayers, education is a gift. 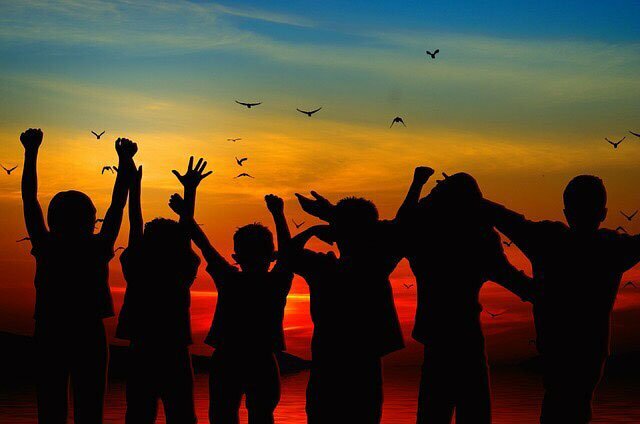 Every student, regardless of country or wealth, should be taught to value it as such, and that it carries responsibilities and opportunities that are bigger than him or herself. I never had discussions like these as a student, but any school that aims to produce the leaders of tomorrow ought to be regularly asking each student, independent of grades or assignments, "How are you going to change the world?" The answer doesn't matter, but the thought process develops intellectual agility, strong character, and good values, which should be the priority of education.